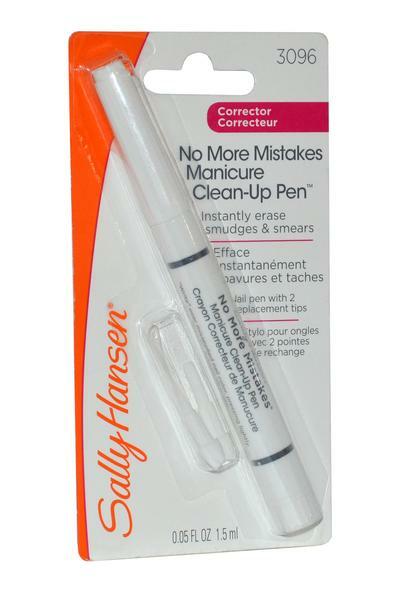 Sally Hansen No More Mistakes is a manicure cleanup pen. Instantly erases smudges and smears. The precision tapered felt tip pen corrects your mistakes in one stroke.